Prescription pills containing oxycodone and acetaminophen are shown in Toronto, Dec. 23, 2017. “It eliminates the need for individuals with an opioid use disorder to have to remember to take a medication on a daily basis or present to a pharmacy for daily witnessed ingestion,” said Dr. Nolan, who is preparing a proposal to study the drug’s efficacy. The U.S. Food and Drug Administration approved Sublocade in November, 2017, and Health Canada followed suit a year later. 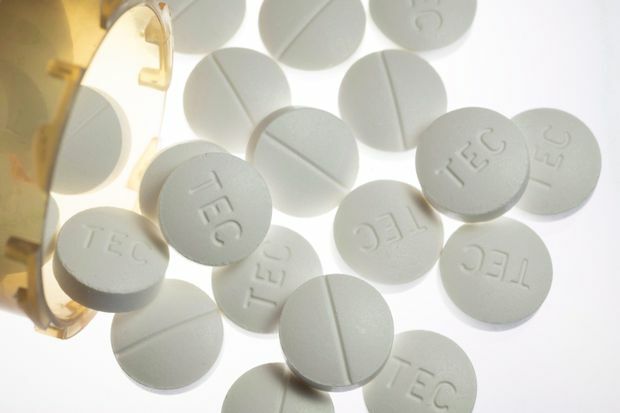 The Canadian Agency for Drugs and Technologies in Health began its review of the drug in January, and its Canadian Drug Expert Committee will meet in May and issue a recommendation on whether provincial drug plans should cover it. Invidior Canada Ltd., the drug’s manufacturer, said it will be available for Canadians by the second half of the year. Dr. Nolan said research is needed to determine who would benefit most from the drug, but its mode of administration makes it a logical option for certain situations. “Correctional settings is one in particular that comes to mind," she said, given that traditional Suboxone tablets can be diverted in jails or prisons. The BCCSU issued new guidelines in 2017 on treating opioid use disorder that included the recommendation of buprenorphine-naloxone as a first-line treatment due to its high safety profile. The BC Coroners Service recently reviewed the illicit drug overdose deaths of 1,854 people and found that not one had buprenorphine in their system. “This is consistent with the evidence demonstrating the safety of buprenorphine-naloxone and the role [of] this medication in preventing overdose deaths,” read an April, 2018, report. Lauren Biggerstaff began experimenting with Vicodin and OxyContin when she was 15, progressing to intravenous heroin at the urging of a boyfriend a few years later. By her early 20s, she had been in and out of rehab five times. A possession charge landed her in jail. “That’s what really got me wanting to fix this,” the 26-year-old said in a telephone interview from her home just outside Philadelphia, Penn. She began treatment using buprenorphine-naloxone. The daily tablets were largely effective, but sometimes “the addict part of [her] brain” would convince her to skip a pill and go use illicit drugs instead, she said. There was also the desire to stop taking all drugs at some point, Ms. Biggerstaff said, and the act of taking a pill every day felt like a daily reminder that she was still on medication. She received her first Sublocade shot in October and said she felt a roller coaster of emotions for the first five days or so: irritability, anger for no reason, a bit of withdrawal. But then it subsided.